Greeting and assistance at Aswan Airport or railway station and private transfer to the Cruise and check-in after 12:00 Noon. 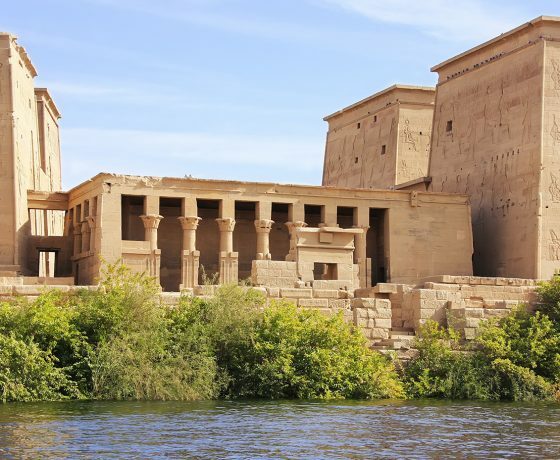 After lunch on board we visit the High Dam, the Unfinished Obelisk and the temple of Philae. The High dam was constructed to replace the old (1902) Aswan dam built to protect Egypt from the floods and provide irrigation and electricity across Egypt. 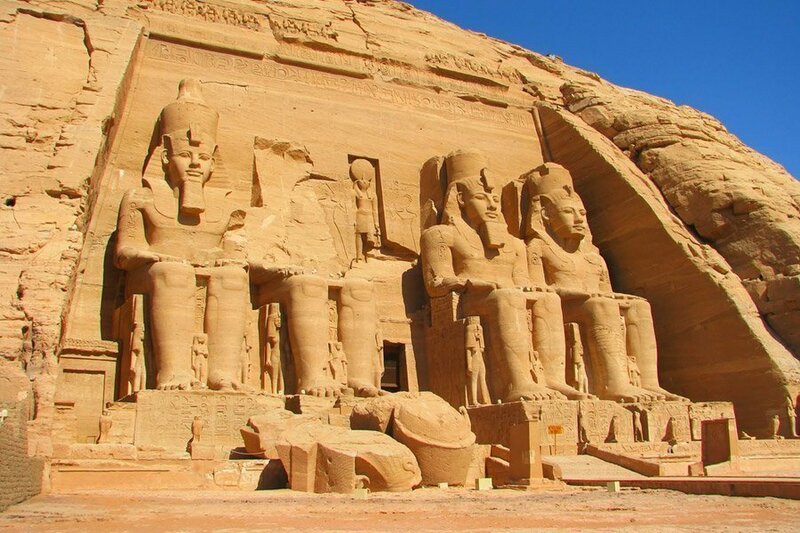 It is 111 meters/ 364 feet high and 12, 562 feet / 3830 meters long and visitors can easily locate lake Nasser over 100 miles away. The Unfinished Obelisk developed cracks and was abandoned. 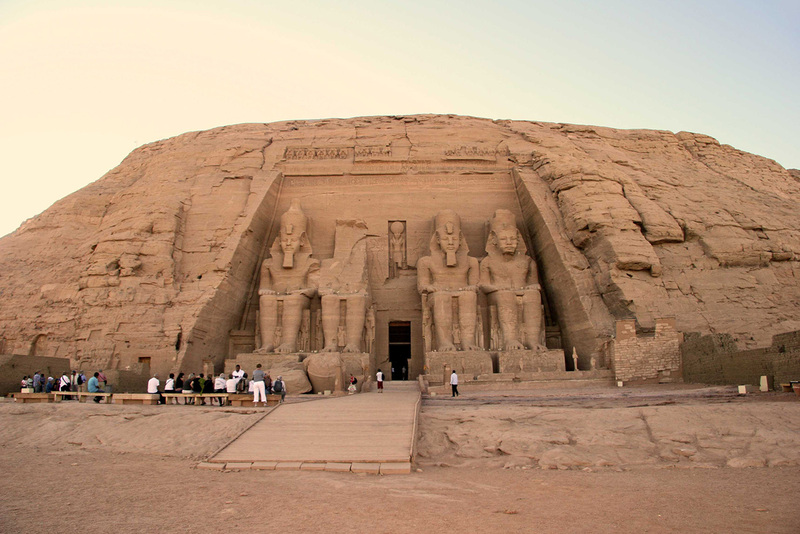 It is nearly one-third larger than any ancient Egyptian obelisk ever erected. If finished it would have measured around 42 meters / 137 feet and would have weighed nearly 1,090 metric tons (1,200 tons). 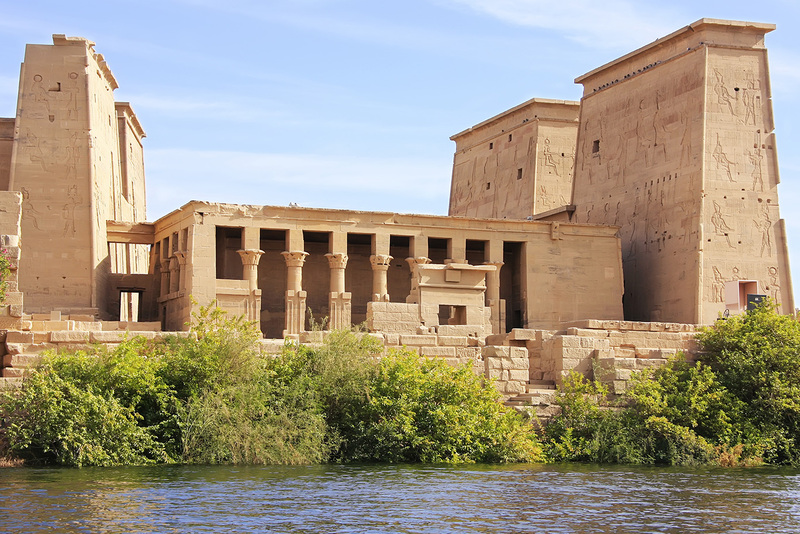 The Philae Temple (the Temple of Isis) is one of the greatest Temples in Egypt with its huge, complete, pylons and beautiful scenes. It occupies about a quarter of the island. Captain’s welcome cocktail and a dinner on board. 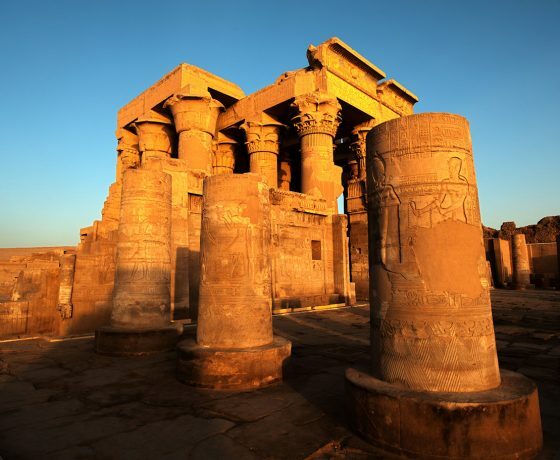 Sail to Kom Ombo during breakfast then visit Kom Ombo Temple which was constructed during the Ptolemaic dynasty, 180–47 BC. The temple is unique because it is perfectly symmetrical and was built for two sets of gods. 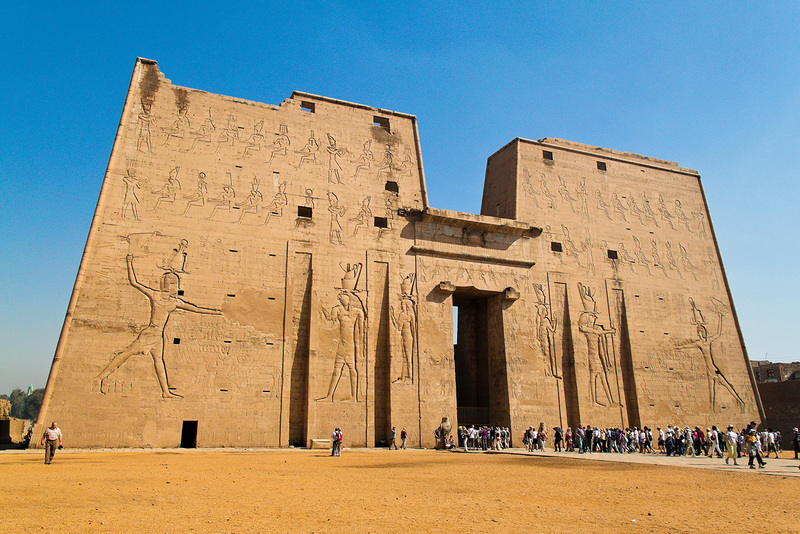 The south temple was dedicated to the crocodile god Sobek, god of fertility and creator of the world. The northern temple was dedicated to the falcon god Horus. Sail to Edfu then lunch on board. 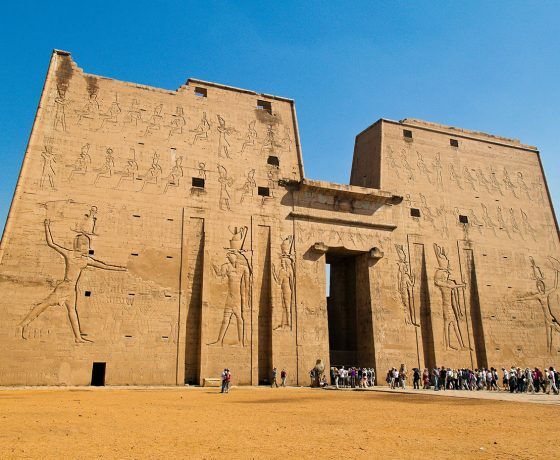 After lunch, visit Edfu Temple, one of the best-preserved shrines in Egypt, distinguished by its huge splendid structure that blends Pharaonic and Greek architecture. 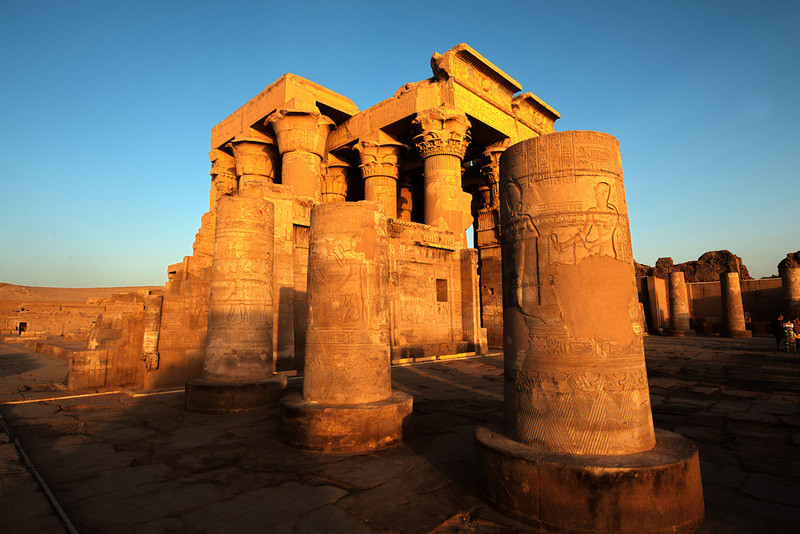 The temple was built in the Ptolemaic Kingdom between 237 and 57 BC. The inscriptions on its walls provide important information on language, myth and religion during the Hellenistic period in Egypt. 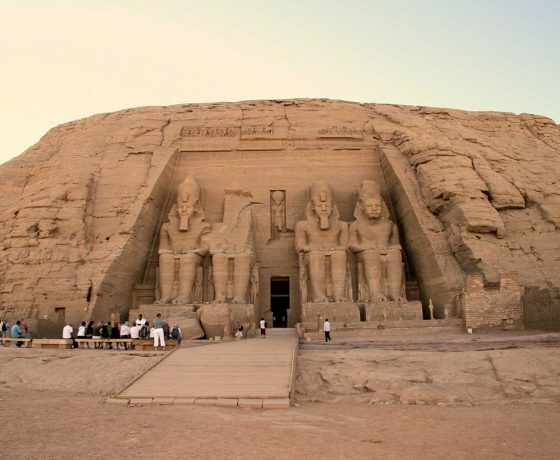 Then sail to Luxor via Esna and dinner on board and Galabeya party and overnight in Luxor. 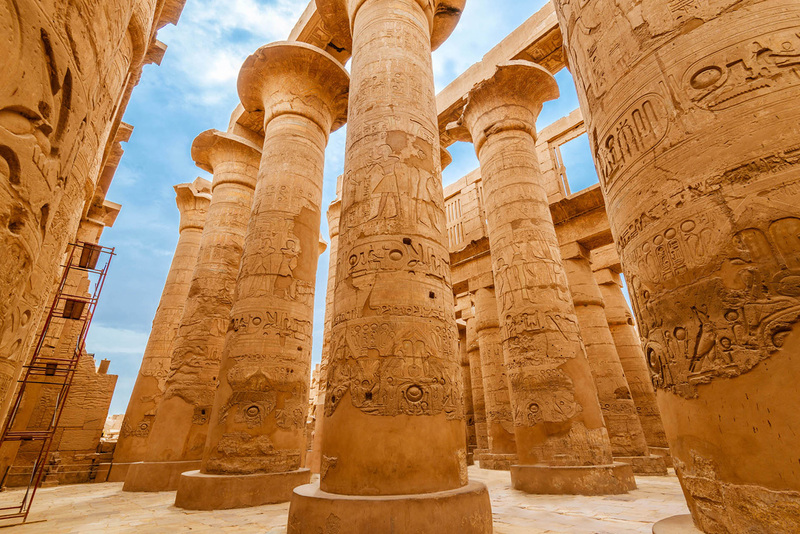 Karnak is one of the largest temple complexes in the world covering 200 acres of land. 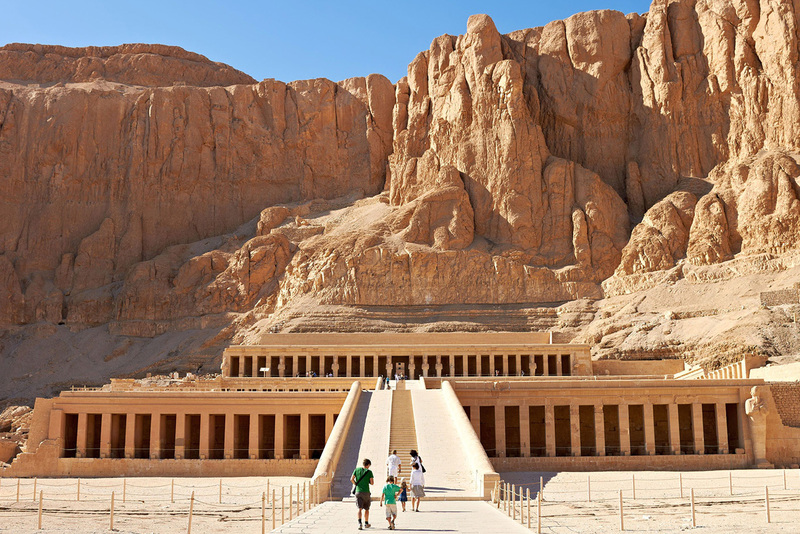 Dating back to 3400 BC it is was built over different reigns and dedicated to the Theban triad of Amun, Mut, and Khonsu. 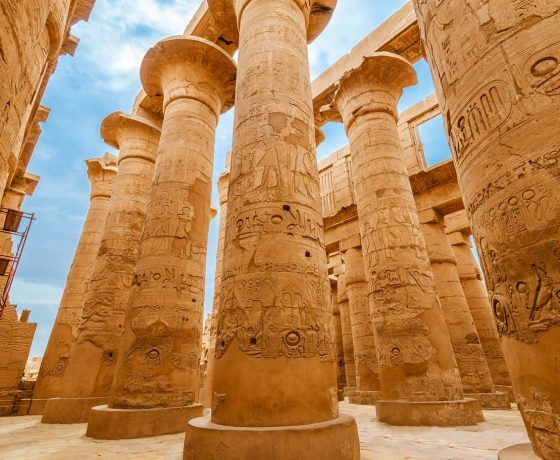 Starting by the Avenue of Sphinxes visit the Unfinished Propylon, the Hypostyle Hall with its 134 gigantic columns, is still the largest room of any religious building in the world. 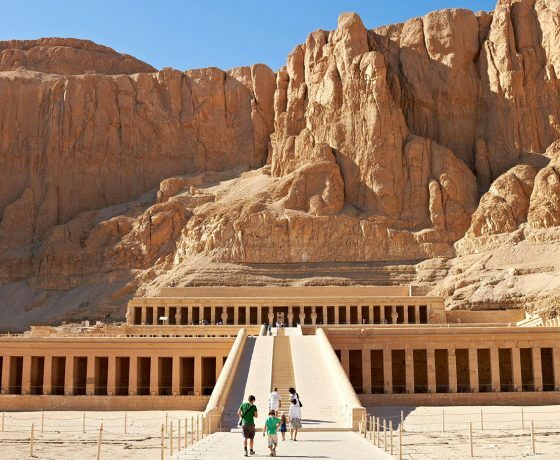 Next the Obelisks of Queen Hatshepsute and Tutomosis III, the temple of Amon adorned with lotus and papyrus designs, the Granite Scarbeus of Amenophis III and the Sacred Lake. 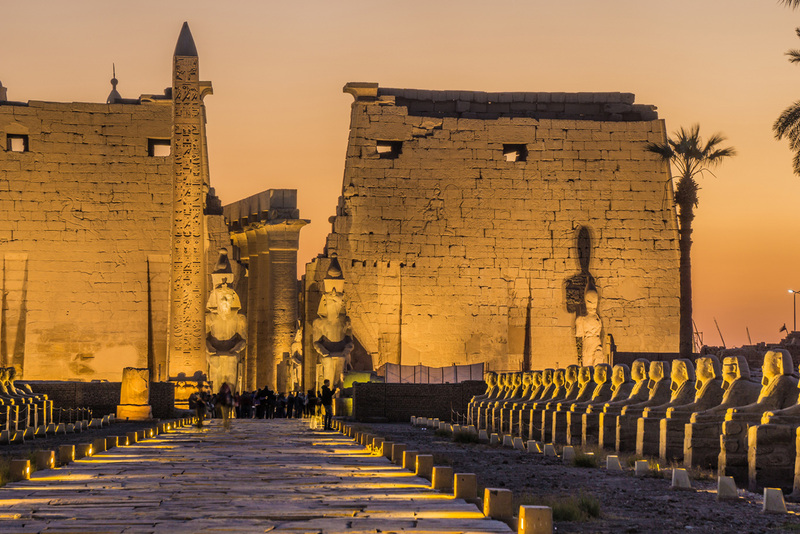 Luxor temple is not dedicated to a god or a deified version of the king in death. 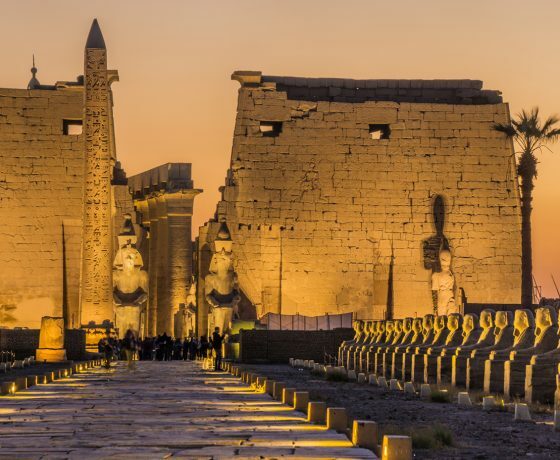 Instead Luxor temple is dedicated to the rejuvenation of kingship; it may have been where many of the kings of Egypt were crowned. 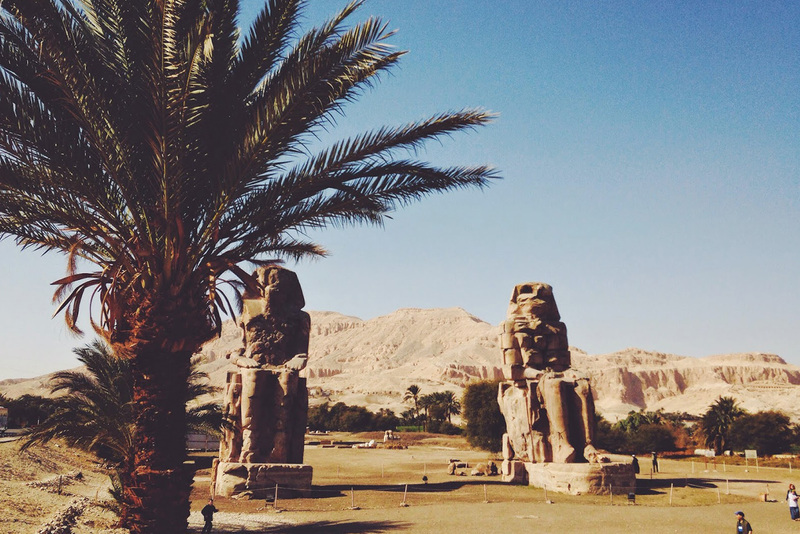 Alexander the Great claimed he was crowned at Luxor. Dinner on board and a belly dance show. 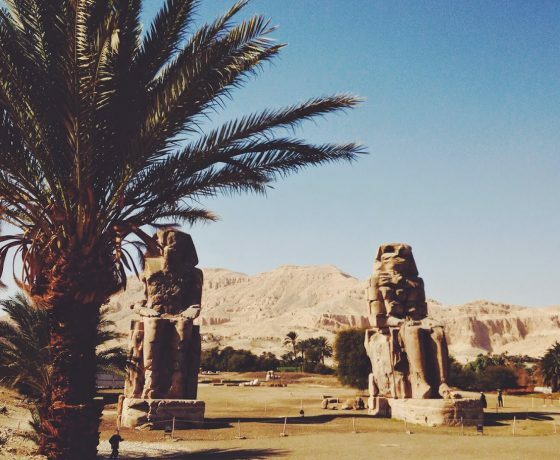 Overnight in Luxor.